The mass suffering and exodus of Irish people during the Famine had many parallels with the world refugee crisis of today. Major issues in the rural Irish economy, in government policy and in the political relationship between Ireland and Britain were exposed by the failure of the potato crop in 1846/7. Suddenly hundreds of thousands of people had no option but to get out of Ireland and seek refuge where they could in other parts of the world. The sufferings they endured have been widely documented, including by me in this blog. Perhaps the biggest difference between the crisis of 1846/7 and that of today is that nineteenth century governments were largely passive observers of this vast population movement, whatever their actions had been in causing it. Today governments and world agencies wring their hands and come up with ad hoc fixes designed mainly to head off domestic xenophobia whilst generally worsening the sufferings of the refugees themselves. Governments in the nineteenth century might not have done much to help the refugees but they also demonstrated less of the hypocrisy on show today. In my last posts (11 and 20 April 2016) I looked at the Famine in the Castlerea area of west central Ireland. This post deals with the crisis year of 1847 and its impact on Stafford. Already by February 1847 a correspondent to the Staffordshire Advertiser was writing that ‘it is painful to see these poor [Irish] fellows in their wanderings through the country. Their suppliant and unoffending manner, and the patience with which they appear to endure the weather and the cravings of hunger appeal powerfully to every humane mind.’ Between April and June 1847 the Poor Law authorities in Stafford gave relief to no less than 3557 paupers, about two thirds of them vagrant, destitute and diseased Irish. 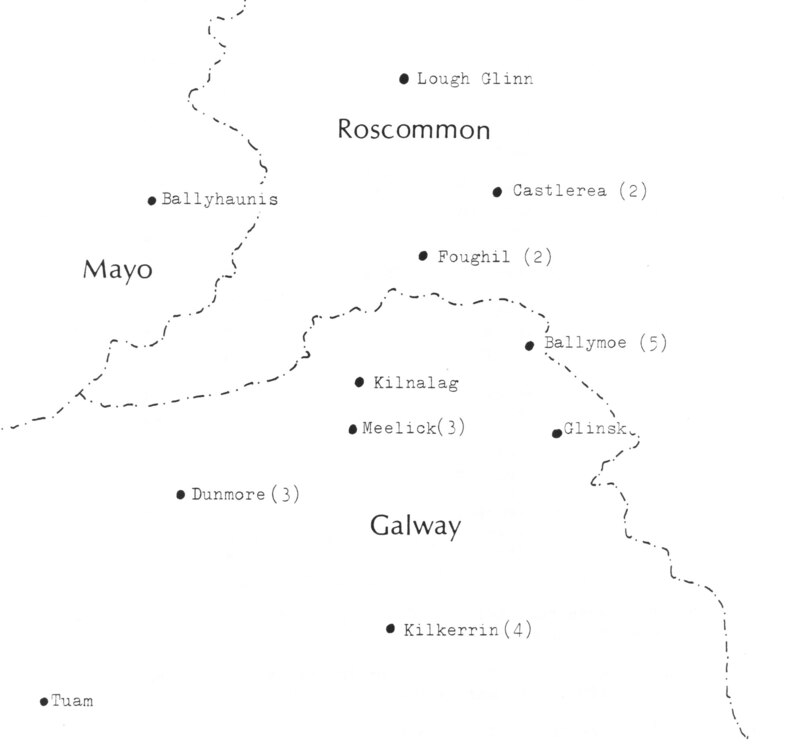 The Castlerea district showing some of the originating localities of Stafford’s Famine immigrants. We don’t know exactly how many Irish refugees came to Stafford in 1847 but some idea of their relative numbers is the fact that the town’s Irish population quadrupled between 1841 and 1851, rising from 131 to 526 people and amounting to 4.6 per cent of the inhabitants. That was a much greater proportional increase than in England and Wales overall (+80 per cent) or in the existing big centres of Irish settlement like Liverpool (+69 per cent) or Manchester (+53 per cent). Many of these people must have come in 1847. Why did they come to Stafford? There are three possible reasons. The first is the links between Staffordshire and the Castlerea area built up before the Famine by the thousands of seasonal workers coming over for harvest work. I’ve emphasised these links in my posts on pre-Famine and Famine conditions in the Castlerea district. Many people knew about the town and the possibilities of work – and survival – it might offer. A second reason for the influx was that Stafford was directly in the path of those Irish heading from Liverpool to Birmingham and the Black Country. It was the only major settlement on the road for fifteen miles in each direction and was therefore a natural staging post for many. For some an overnight stop turned into a longer stay, particularly if people succumbed to fever and utter destitution. On 17 April 1847 Martin Traynor was the first of many Irish admitted to the Workhoue vagrant ward with fever; four days later he was dead. On 1 June Hannah Killeen and her son were admitted because they were destitute; her husband was ill with fever in the Infirmary. 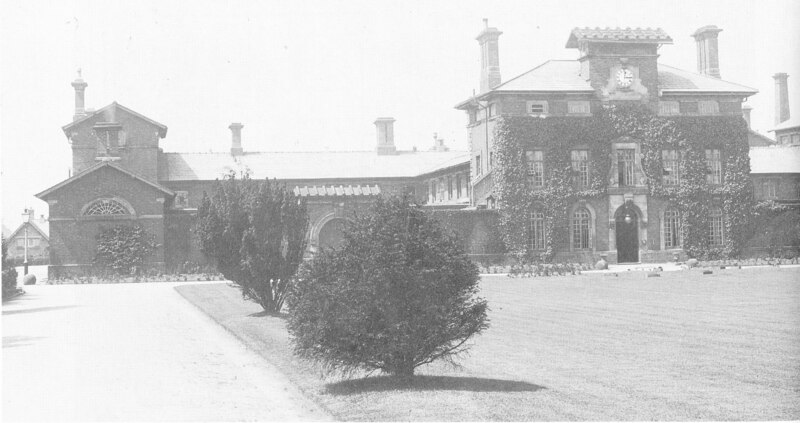 Hundreds of Irish people sought refuge in the Stafford Workhouse during 1847 and the authorities struggled to cope. The admissions system collapsed in the summer and between 16 July and 26 September no record was kept of the people admitted and discharged. Temporary buildings had to be erected for the wave of ‘paupers’ besieging the Workhouse, many of them ill with fever. Sanitary conditions were terrible and those who were still healthy refused to wash the clothes of those who were sick. Paupers were recruited as ‘nurses’ but even they were reluctant to tend to the needs of the sick. Nearly £600 was spent between April and June on outdoor relief for destitute Irish people in the town, over seven times the normal amount. Things were so bad that, desperate as they were, people didn’t stay in the Workhouse longer than necessary. Even more moved on from the squalid lodging houses in the town. Most set out again on the road south, but nevertheless some stayed on in Stafford. Ann Malley and her two children, for example, were admitted to the vagrant ward through illness in July 1847 but she stayed and was living in the town with her labourer husband in 1851. A third reason to come to Stafford may indeed have been the relatively liberal attitude of the Poor Law authorities. The only case of Irish people being expelled from Stafford during 1847 was the Kelly family which I described in my post on 24 March 2015. They came back more or less immediately and settled in the town. Although the Poor Law Guardians sometimes blustered about removing the Irish, in practice they did nothing and appeared worried about its legality. The fear of removal back to Ireland was prevalent amongst the Famine immigrants but, even if they struggled to cope, if the Stafford Poor Law Guardians had a reputation for being relatively liberal that fact might have become known and the town regarded as a safe, if temporary, haven. No real record survives of how native Staffordians reacted to the mass of suffering refugees in the town from April 1847 onwards. Members of the local elite had been collecting money ‘for our poor famishing fellow creatures in Ireland’ since late 1846. A local committee to organise relief was set up in January 1847 and included both the Catholic priest, Edward Huddleston, and the virulently anti-Catholic Ulster-born Presbyterian minister Edward Speers. There was, however, no reported elite reaction once the refugees had arrived. An oblique reference to common feeling was made when it was reported that ‘so many bad things are said of the poor Irish who throng our streets and roads’ but the story concerned ‘an honest Irishman’ in the Potteries rather than Stafford town. There is, however, no record of direct hostility or violence against the Irish. It seems most people just ignored the suffering people in their midst and left it to the Poor Law authorities to deal with things. The number of Irish who only stopped in Stafford briefly in 1847 must have been large. Ninety per cent of those discharged from the Workhouse had disappeared from the town by 1851. Nevertheless, a residue of Famine migrants ultimately settled long-term in Stafford – I estimate about fourteen per cent – and these people formed a core of Irish families for many years. Some remained a permanently and ultimately their families became woven into the social fabric of the town. Staffordshire Advertiser (SA), 20 February 1847. Stafford and Stoke on Trent Record Archives (SSTA), D659/8a/4-5, Stafford Poor Law Union, Minute Books of the Board of Guardians, 25 May 1844 to 3 February 1849. SSTA, D659/1/4/7-8, Stafford Poor Law Union, Workhouse Admission Register, 1847. SSTA, D659/1/1/5, Stafford Poor Law Union, Minute Books of the Board of Guardians, 17 April 1847-3 February 1849. SSTA, D659/1/4/7-8, Stafford Poor Law Union, Workhouse Admission Register, 1847. Census returns 1851.